When closing a meeting, thanking God for his continued protection and inspiration is just one way to end a bible study or meeting. Here is a look at some great opening and closing prayers for meetings that will help encourage your continued commitment and dedication to the Lord. O God of truth, prepare our minds To hear and heed your holy word; Fill every heart that longs for you With your mysterious presence, Lord. Almighty Father, with your Son And blessed Spirit, hear our prayer: Teach us to love eternal truth And seek its freedom everywhere. As we close this meeting, Lord, we want to give honor to You. Thank You, God, for the time we had today to discuss issues and make decisions. May You bless each person who took the time to gather here today and let Your hand of protection be on them throughout the rest of the week. Let the work done here tonight come to fruition, and let it all be for Your glory. Help us each to do our parts to bring the plans discussed to life. God we thank You for meeting us here tonight, and for delivering Your Word through the speaker. May each soul in this place have been touched through the songs and the preaching, and may each take to heart the Word that came forth. Go forth in peace, for you have followed the good road. Go forth without fear, for God who created You has made you holy, has always protected you, and loves you as a mother. Father, thank you for all the marvelous things you have done today. And for the love that we share together as your body. We pray for all the words you have sown into people’s hearts today. Watch over them, protect them. Things of beauty and great blessings to many. And as we leave this place now, thank you that you walk with us. And live in your endless love. In this age and forevermore. the prayers that will be heard. Here is one example of a closing prayer performed by Wesley students at the United Methodist Campus Ministry. 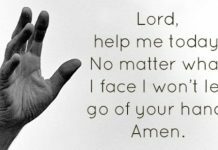 The following are sample opening and closing prayers you can make a part of your meeting. Creating the right setting for this time of prayer can be done with some lighted candles, soft background music, and a comfortable seating area. Feel free to customize these closing prayers for church meetings to suit your individual needs. God let this meeting be productive and, as should be the case in all areas of our lives, help us to keep You at the forefront of our minds as we do the work set before us. All the laughter and fun. Thank you for your amazing word, and for this opportunity to learn more about you. Help us now to carry this new knowledge in our minds. May it deeply impact our hearts, our relationships and our lives. and serve you during this meeting. and upon all present today. I returned recently from a three week holiday with the family. One of the great benefits of being away from home is the opportunity to meet with other churches. It’s good for me to hear other men preach. It’s good too to share in the life of another congregation, even if only for a short time. It’s good to see how other churches do things. It’s good to pray with another church. You can learn a lot by attending the prayer-meeting in another church. You learn something about the church’s priorities and concerns. You learn something about the piety and spiritual life of the church. You can catch a glimpse of how the church’s leaders relate to their fellow-members. How strongly do they direct the prayer-meeting? How far do they leave it to the members to decide how to pray and what to pray for? Most of the churches I know best follow a similar pattern in their prayer-meetings. Someone – usually the pastor or one of his fellow-elders – leads the meeting and after preliminary devotions (a hymn maybe, a Bible reading, a short encouragement to pray) lists some matters he thinks people should pray for. He asks if anyone else has anything they’d like to mention, and then follows a time of “open prayer”. The leader may pray first, or he may ask a particular member to pray first, but from that point on, everyone is invited or encouraged to pray “as they feel led”. No-one knows who will pray next, how long (s)he may pray for, whether he’ll pray about one of the concerns the pastor has listed, or whether he’ll mention something completely different. 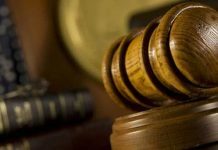 For that matter he may not mention any particular matter – his prayer may be largely praise for God’s attributes, a meditation on God’s kindness, thanksgiving for some particular blessing, or a confession of his own spiritual weakness. And then at an appropriate time, the leader will call again on someone to bring the time of prayer to an end, or he’ll do so himself with a final prayer. That’s the usual format. But within that general format, the prayer-meetings in different churches may be very different. In some, prayers may be ten, fifteen or twenty minutes long; in others, a prayer as long as three minutes would be unusual. In some churches, prayers tend to be long meditations, quoting passages of Scripture and hymns, exploring God’s purposes and promises; in others prayers tend to be brisk, direct, asking for very definite, specific favours. 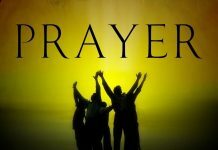 In some churches, prayers will be emotional, even passionate; in others, they will seem more measured and business-like. In some, there will be long, pregnant pauses between prayers; in others, prayers will follow one another is a steady flow. When did this sort of prayer meeting become a regular feature of church life? I don’t know. I’ve tried to research the question a little, but come up with few answers. But it seems that this sort of open prayer-meeting, where all the attenders are free to pray, was unknown among reformed churches until relatively recently (maybe the mid nineteenth century). 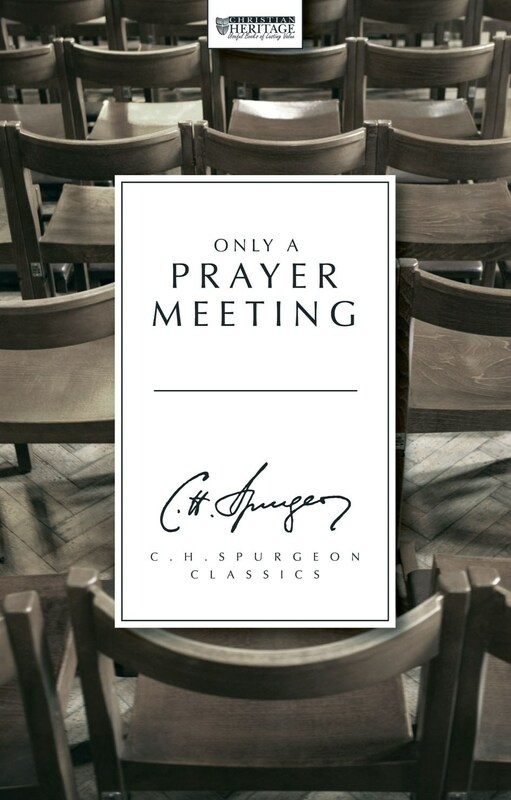 I’ve never found a reference to such prayer-meetings, for example, in the puritan era. It was assumed that when the church met, it was the responsibility of the minister to be the voice of the church, in prayer as well as in preaching. The believers who gathered, prayed by listening to the minister’s prayers, silently making them their own. They worshipped God by singing psalms and by listening to preaching. But there was no point where they were expected to pray aloud. Clearly, these were not meetings where all the members of the church were expected to pray. Particular trusted men (always men) were called on to pray, just as particular trusted men were called on to preach. I find it helpful to look back to those times. Whatever we think of the way the Puritans regulated public prayer, it stops us from taking it for granted that our way is the best way. Often, it’s just assumed that a “successful” prayer meeting is one where as many people pray aloud as possible. But nobody saw it that way in the Puritan era. For them, the test of a prayer-meeting was not “how many people prayed?” but “how far was the praying in line with God’s Word and empowered by God’s Spirit?” Surely they were right in that. Far better a meeting where one or two people pray, led and empowered by the Holy Spirit, than a meeting where dozens of people pray without that help. A church like Bunyan’s congregation in Bedford never held prayer meetings in our modern sense. But it saw wonderful answers to prayer. The praying of that church was powerful and effective. The church, through its chosen men, prayed for the presence of God in their meetings – and he answered their prayers. 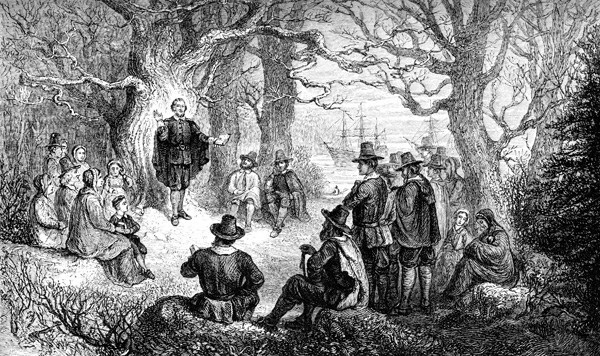 They prayed for God to use Bunyan’s preaching, and he became one of the most powerful evangelists in history. They prayed that he would be sustained through his long imprisonments, and God answered them by helping him to write Pilgrim’s Progress in his prison cell. 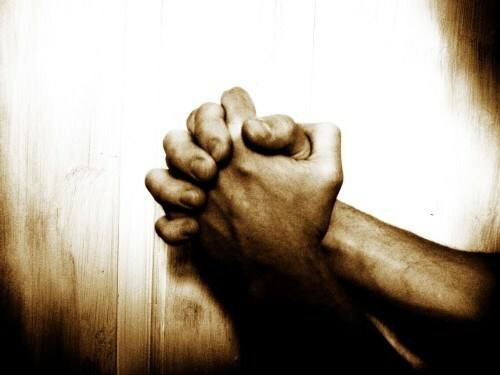 They prayed for the persecutions to end, and in due time, God brought them out of their trials. I once attended a conference where a group of church leaders discussed the question “how can we make our prayer meetings more effective?”. But all they were interested in was, “how can we get more people to pray aloud?”. They seemed to think that that was the only thing that mattered. But surely the measure of “effectiveness” is “do we get the things we ask for, from God?” And nobody at that conference even asked how we can make our prayer meetings effective in that way. So would I want to go back to the days of the Puritans? Would I want to abolish the prayer meeting or restrict the audible praying to two or three chosen men? No, I wouldn’t. Why not? Well because I don’t find that sort of restriction in the New Testament. It’s difficult to believe that in the prayer-meetings described in the book of Acts, only the apostles or the elders prayed. We read how the apostles gathered in the upstairs room in Jerusalem to pray for the gift of the Spirit (Acts 1:13-14): “all these with one accord were devoting themselves to prayer, together with the women and Mary the mother of Jesus, and his brothers…” We read about the three thousand who were converted on the Day of Pentecost; “they devoted themselves to the apostles’ teaching and fellowship and the breaking of bread and prayers…” (Acts 2:42). Does that really mean they just listened and said Amen to the apostles’ prayers? When Peter was set free from prison in the middle of the night by an angel, he “went to the house of Mary, the mother of John whose other name was Mark, where many were gathered together and were praying…” (Acts 12:12). Does that really mean that one man prayed aloud through the night, while others listened silently? Surely not. Paul tells Timothy that he wanted “the men everywhere to pray, lifting up holy hands without anger or quarrelling” (1 Timothy 2:8). Does he really mean that he wants pastors and maybe a few other appointed men to pray? No – on the face of it, he wants and expects all the men in all the churches to be prepared to pray, and to be in a fit spiritual state to do so. Nor does he limit the praying to men. Clearly he expects the men to take the lead. He particularly wants them to pray in the meetings of the church. But in 1 Cor 11:5, he assumes that women too will pray, albeit with proper modesty. 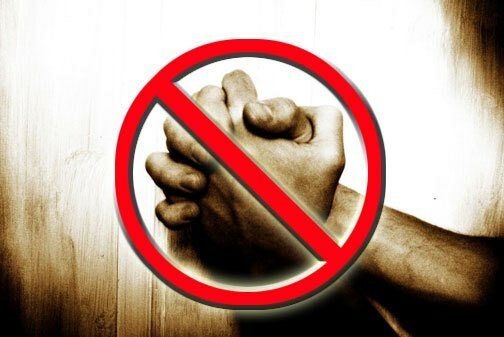 The New Testament lays down no rules for prayer-meetings. It doesn’t tell us how long they should be, how many different issues we should pray about, how many people should pray aloud, whether there should always be praise and confession as well as requests, whether specific people should be asked to pray, or whether everyone should pray in turn. A church is free to do whatever seems most appropriate. As a church we try to be flexible. In our Lord’s Day services, it’s usually the man who preaches who puts the church’s prayers into words. But at the end of the meeting, often I’ll ask another of the men to respond in prayer to what the church has been hearing from the Lord. 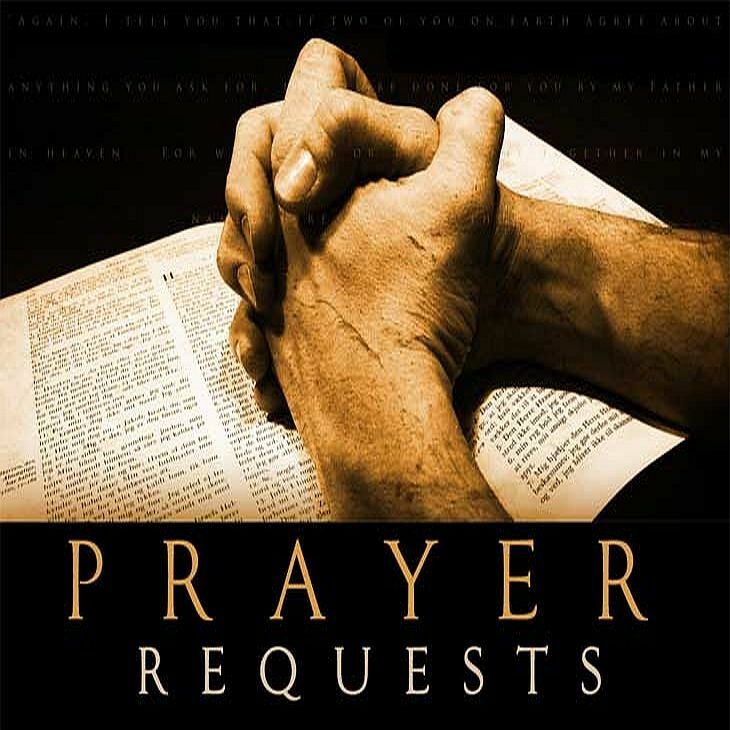 When we set aside an evening once a month for prayer, we have a detailed prayer list covering many issues. As we go through it, we may ask specific men to pray about specific issues. Or we may go round the room asking each person to pray in turn. Or we may leave it open for anyone to pray. Besides that monthly prayer meeting, we hold some meetings to pray for more particular issues. After our Sunday morning service, we hold a short prayer meeting just to pray for the Sunday-school. We have a monthly meeting just to pray for missionaries, and the women have a further meeting once a month to pray for missionaries’ wives. On our church fast-days, we try to concentrate on some particular, pressing concerns. 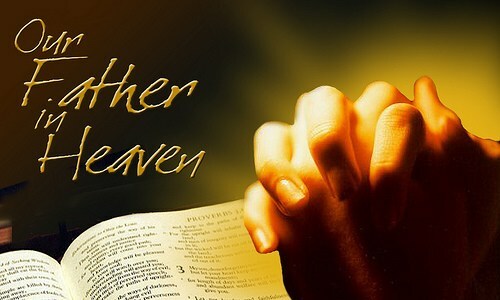 The Lord’s Prayer teaches us that whenever we pray together, we come as children to Our Father. A prayer meeting is a family gathering – God’s children gathering round his feet. And that means that our prayer meetings will be varied. When Dad calls the family together to talk with him, it may be about a single pressing issue. Or it may be that they’ll want to talk to him about lots of things. Sometimes they’ll know in advance what they’re going to ask for from him, sometimes it will only be clear as they talk together in his presence. Remind yourself before every prayer meeting that this is a family gathering. You’re going with your brothers and sisters to talk together to Father. When we remember that, praying becomes such a natural thing. In most family gatherings, every child will have his say. There may be occasions when it’s appropriate for one or two to speak to Father on behalf of the whole family. But surely the normal thing is that all the children feel free to speak. If I called a family conference and invited my children to tell me what they wanted, I would be disappointed if there were one who didn’t want to talk to me, who was afraid to open his mouth in front of the others, who felt he had nothing to say. I would feel there was something wrong in the relationship between me and my child, if (s)he were so reluctant to talk to me in a family gathering. I’d want to encourage that one in a special way to open his mouth and heart. So when next we gather for prayer, and I say, “now let’s all feel free to pray…”, feel free. Let the men take the lead. That’s their special responsibility. Shame on men who stay silent while the women pray! But women, don’t feel that you must remain silent. You’re His children too. If you’re a married woman, it’s only proper that you let your husband speak first. But then you speak up too to support him in what he’s said to Father. There are more important things than the number of people who pray aloud in a prayer-meeting. But there is something lovely about a meeting where every single child of God feels free to talk to their Father. May God give us many such meetings.